Published May 25, 2016 at 688 × 800 in PORTFOLIO. Curbside. 2016. 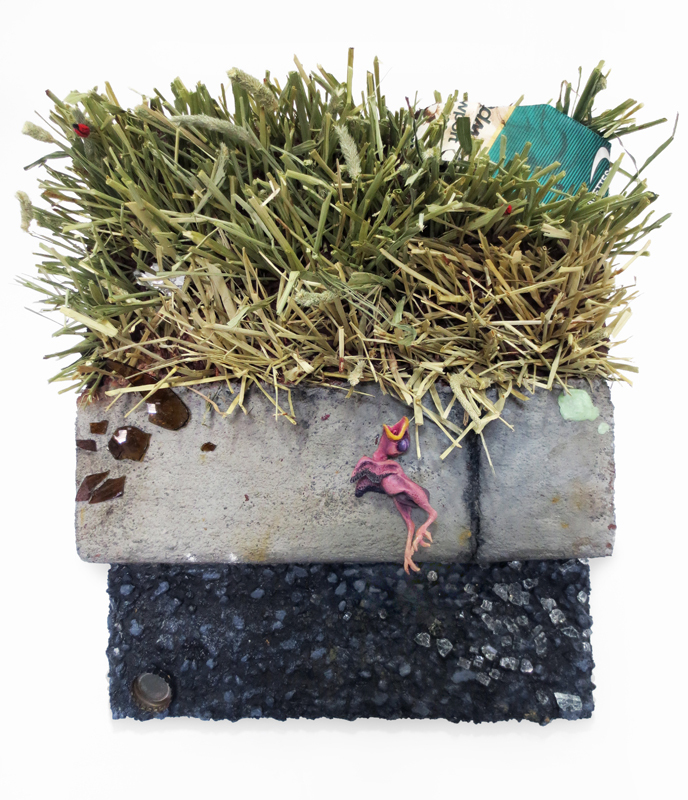 Acrylic, clay, dirt, rocks, hay, cloth, wood, gum, trash. 14.5 x 12 x 6 in.